Now, as Republicans and Democrats wage war over Scalia's lamentably empty Supreme Court seat, Kevin A. Ring, former counsel to the U.S. Senate's Constitution Subcommittee, has taken a close look at the cases that best illustrate Scalia's character, philosophy, and legacy. 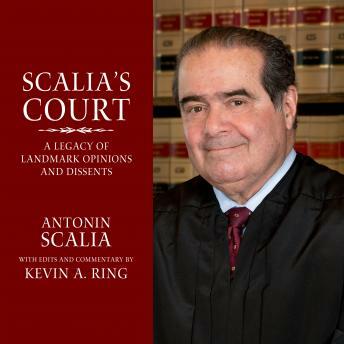 In Scalia's Court, Ring collects Scalia's most memorable opinions on free speech, separation of powers, race, religious freedom, the rights of the accused, abortion, and more; and intersperses Scalia's own words with an analysis of his legal reasoning and his lasting impact on American jurisprudence.